These drugs all increase pleasure when abused and make chemical changes in the brain to do so. Most substances of abuse interact with the production, absorption, or pathways related to the neurotransmitter dopamine, which is closely tied to how a person feels pleasure and experiences reward. Mood regulation, memory, willpower, and the decision-making processes are also impacted with drug abuse. These changes become more fixed with regular use as a drug dependency is formed. With drug dependence come difficult withdrawal symptoms that may be psychological and physical in nature, and sometimes even life-threatening. As a result, it’s not recommended to stop taking these substances “cold turkey” or suddenly, without professional help. Depending on the substance abused and the individual’s situation, medical detox is often necessary. The National Survey on Drug Use and Health (NSDUH) estimated that around 1 out of every 12 Americans over the age of 11 battled a substance use disorder (SUD) in 2014. Heroin is a fast-acting illegal opioid drug that is commonly injected, snorted, or smoked for a mellowing effect and “high.” Prescription opioid drugs include OxyContin (oxycodone), Vicodin (hydrocodone), methadone, fentanyl, codeine, and morphine, and they are heavily abused here in the United States. More than 4 million Americans were considered to be currently abusing prescription opioids at the time of the 2014 NSDUH. Opioid intoxication causes not only a rush of pleasure, but also relaxation and pain relief, which can be intensely desirable. The American Society of Addiction Medicine (ASAM) reports that nearly a quarter of the people who abuse heroin will become addicted to it and that more than a half-million Americans battled a heroin use disorder in 2014. Another 2 million people in the United States suffered from a prescription opioid use disorder in 2014. Apart from the way these drugs can make a person feel good and provide a temporary escape from reality, they also can cause uncomfortable withdrawal symptoms when they wear off, causing individuals to want to take more of them in order to feel good and keep withdrawal from taking hold. Withdrawal from opioid drugs likely starts within 12 hours after the last dose (closer to 30 hours for methadone) and peaks within a day or two, the National Library of Medicine (NLM) publishes. Withdrawal from heroin may be like a really bad case of the flu, causing shakes, sweating, chills, nausea, vomiting, muscle aches, headaches, insomnia, runny nose, yawning, and tearing. Emotionally, depression, anxiety, agitation, irritability, and a lack of mental clarity may be common during opioid withdrawal. Opioid detox often includes the use of medications, such as substitute opioid agonists that are long-acting, like buprenorphine or methadone. These drugs continue to fill the opioid receptors in the brain, just as heroin or the other narcotics did, often to a lesser extent or for a longer amount of time, thus keeping cravings and withdrawal symptoms to a minimum. Anti-anxiety and antidepressant medications may be helpful with some of the psychological side effects as well. Medications like clonidine, which is technically prescribed for high blood pressure, may also lower some of the heightened functions of the central nervous system, like blood pressure, heart rate, respiration levels, and body temperature. Medical detox can manage drug cravings and opioid withdrawal symptoms, helping a person to quit taking heroin or prescription painkillers safely. Cocaine is a Schedule II controlled substance by the Drug Enforcement Administration (DEA). It is a powerful stimulant drug that can cause an intense rush of pleasure when abused, and it comes either in a white powder form or a rock form called crack. Cocaine is typically snorted, smoked, or injected for a rapid-onset “high” that is short-lived and indicated by extreme euphoria, excitement, and alertness. Its short method of action may cause individuals to binge use cocaine, meaning that multiple doses are taken back to back to keep the effects going. Using it in this manner can increase the risk for becoming dependent on and then addicted to cocaine. When people come down from a cocaine high, they likely suffer a “crash” wherein they likely feel depressed, fatigued, and mentally drained. The depression following a cocaine binge can be significant and last for several days. Cocaine use creates a flood of dopamine in the brain, and when it is removed, individuals may have trouble feeling pleasure at all. Irritability, restlessness, intense drug cravings, depression, agitation, anxiety, nightmares, and a general feeling of discomfort may accompany cocaine withdrawal, as may suicidal thoughts or ideations. Medical detox can smooth out these symptoms and also ensure that individuals do not harm themselves. Beta blockers like propranolol may help with some of the withdrawal symptoms and have shown promise in reducing anxiety and even some of the severity of cravings, the journal Psychiatry reports. Medical detox will likely focus on the more intense symptoms of withdrawal – depression and drug cravings – by offering supportive care. Various medications may be beneficial to treat specific symptoms, such as antidepressants to regulate mood. Methamphetamine, like cocaine, is a man-made stimulant drug that is often taken in a “binge and crash” pattern. It is abused in powder form, often called meth for short or crystal meth in its crystal form. Meth and crystal meth are snorted, smoked, or injected for a rapid and powerful high. Psychosis, aggression, and violence may also accompany meth abuse. Crystal meth may produce longer lasting effects than the powdered form, lasting up to 12 hours, the U.S. Department of Justice (DOJ) reports. Both forms of the drug cause intense pleasure, followed by depression, fatigue, and significant drug cravings when it wears offs.Long-term meth use may actually damage the brain, causing problems with memory and emotional regulation, NIDA reports, that may only be partially reversible with sustained abstinence. Depleted levels of dopamine that make it hard to feel pleasure, and may lead to mood swings and depression during meth withdrawal, can be rebalanced over time. During medical detox, trained professionals can make sure that those battling meth addiction do not harm themselves or others. Medical detox may also use medications like anti-psychotics, antidepressants, and anti-anxiety prescription drugs to help regulate brain chemistry. Prescription sedatives and tranquilizers like Valium (diazepam), Ativan (lorazepam), Klonopin (clonazepam), and Xanax (alprazolam) are medications designed to lower anxiety levels, provide relaxation, and help people sleep. These drugs can produce a “high” and level of intoxication similar to alcohol abuse. They are regularly abused and considered to be highly addictive. Even when used as directed, they can be habit-forming and lead to drug dependence.Benzos, as they are often called for short, are some of the most prescribed psychoactive drugs in the United States. They are also commonly abused with alcohol or opioid drugs for an intensified effect, the Western Journal of Emergency Medicine (West JEM) publishes. This can lead to increased risks and higher odds for a fatal overdose as well as potentially lead to a more rapid and significant dependence on these substances. Benzos work by increasing not only dopamine, but also the levels of gamma-aminobutyric acid (GABA) in the brain. GABA is involved in helping to reduce anxiety and stress by acting as a natural tranquilizer, creating a relaxing and mellow effect. The stress response, or “fight or flight” reaction, is tempered, and heart rate, respiration levels, body temperature, and blood pressure are all lowered as a result. Once dependence on these drugs is established, which according to the labeling information for Valium published by the U.S. Food and Drug Administration (FDA) can occur quickly even when taken as directed, withdrawal symptoms may occur when the drug is stopped or removed from the body. When nerve firings that have been suppressed by these drugs are suddenly released from their drug-induced state, the brain may experience a kind of rebound effect.Benzodiazepine withdrawal may lead to re-occurring insomnia or anxiety, which the drug may have been prescribed to treat, and also may include muscle pain, sweating, abdominal cramps, nausea and vomiting, headaches, irritability, tension, depression, and confusion.A more severe withdrawal syndrome may include hallucinations, depersonalization, sensory sensitivity, numbness to extremities, and seizures that may even have life-threatening consequences. Since the symptoms of benzo withdrawal can be significant, it is never recommended to stop taking these drugs suddenly; medical detox is the safest option for withdrawal. During detox, vital signs can be monitored, and longer-acting benzodiazepines may be substituted for shorter-acting ones in a slow tapering schedule that slowly lowers the dosage over time to minimize withdrawal symptoms and any rebound effects. Other adjunct medications, including antidepressants or beta blockers, may be beneficial during detox as well. The number one cause of preventable death in America is tobacco use. In 2014, NSDUH reported that over 55 million people over the age of 11 in the United States smoked cigarettes. Nicotine is one of the active ingredients in cigarettes and considered highly addictive. NIDA reports more than 35 million smokers wish to quit annually, however, only about 15 percent are successful. Nicotine can alter brain chemistry within 10 seconds of inhaling it, creating an enhanced mood that wears off within a few hours of the last cigarette, prompting individuals to want another. 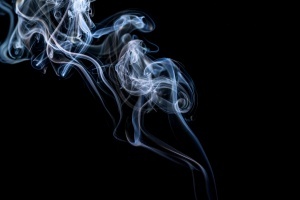 Nicotine withdrawal can cause irritability, powerful cravings, depression, difficulties sleeping, anxiety, heightened appetite, and trouble concentrating or remembering things.Since smoking is not illegal, is often a social endeavor, and does not have to be performed clandestinely, it may be harder to stop than some other drugs. During nicotine detox, a nicotine-replacement product like nicotine gum or a transdermal patch may be used to replace cigarette smoking, which can help smooth out withdrawal, especially when combined with behavioral therapies, NIDA publishes. Alcohol is the most widely abused psychoactive and addictive substance in the United States. More than 17 million adults suffer from an alcohol use disorder, the National Council on Alcoholism and Drug Dependence (NCAAD) reports. The National Institute on Alcoholism and Alcohol Abuse (NIAAA) publishes that almost 87 percent of American adults (18 and older) report lifetime alcohol use. Alcohol is legal, for those over age 21, socially acceptable, and readily available. In fact, its prevalence may make it hard for people to stop drinking or control the impulse to drink. Alcohol decreases inhibitions, increases sociability, and elevates moods. In moderate amounts, alcohol has even been touted to have health benefits; however, when abused in binge or heavy drinking patterns, numerous adverse health, social, and emotional consequences may result, not the least of which is the potential to develop a dependence on alcohol. Alcohol dependence may range from mild to moderate to severe, and in its more severe form, the resulting withdrawal symptoms can be life threatening. Delirium tremens (DTs) is the most significant form of alcohol withdrawal that impacts about 3-5 percent of individuals who suffer from an alcohol use disorder, the New England Journal of Medicine (NEJM) publishes. DTs includes hallucinations, delirium, extreme confusion, and seizures. Alcohol withdrawal, like withdrawal from benzodiazepines, is caused by the brain trying to regain balance after functions of the central nervous system have been suppressed. Heart rate, blood pressure, and body temperature all increase as a result of the central nervous system no longer being depressed by alcohol. 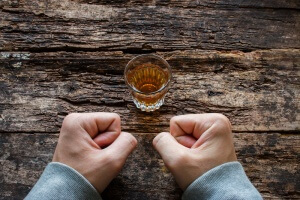 NEJM reports that about half of all individuals who battle an alcohol use disorder will have withdrawal symptoms when they attempt to stop drinking. Alcohol withdrawal may include symptoms like insomnia, headaches, dizziness, irritability, depression, anxiety, nausea and vomiting, tremors, an irregular heart rate, and heightened blood pressure that can start within 8 hours of the last drink. Medical detox is considered the safest option for removing alcohol from the body as the withdrawal symptoms can potentially be fatal. During medical detox, individuals will be closely monitored, and withdrawal symptoms can be eased with the help of medications. Often, benzodiazepines, like Valium (diazepam), Librium (chlordiazepoxide), and Ativan (lorazepam) are prescribed since they have a similar method of action as alcohol. The medications need to be tapered down slowly during a medical detox protocol in order to slowly restore balance to brain chemistry. Anti-nausea, antidepressants, antihistamines, and nonsteroidal anti-inflammatory medications may be helpful during alcohol detox, as may medications to treat any co-occurring disorders. Adrenergic medications may help to regulate the autonomic nervous system, which alcohol withdrawal can disrupt, helping to control heart rate, body temperature, and blood pressure. Alcohol often depletes the body of many essential vitamins and nutrients, as well as leaves a person dehydrated, so fluids may be introduced (sometimes via an intravenous line) and supplements like thiamine (vitamin B1) may be prescribed during alcohol detox. A medication approved for the treatment of epilepsy and migraines, topiramate, has shown promise in helping to reduce the severity of alcohol withdrawal symptoms while also helping to dispel cravings for alcohol during detox and treatment for alcohol dependency, per the journal Current Pharmaceutical Design. Other medications, such as naltrexone, disulfiram, and acamprosate are FDA-approved to treat alcohol dependence. These medications may help individuals to remain alcohol-free beyond detox as well, according to NIAAA.